Well the ordination was wonderful, apart from the pouring rain, pictures are on camera so will be shown next week. So this week is Mum and Dad sorting out the new home, putting up shelves, emptying boxes, clearing the garden and generally running around; while they go off to work. So emptying these is the first part of my day's work, then there are 15 more in her study, a kitchen to organise, (when they moved in her FiL simply emptied boxes into spaces so baking tins and alcohol are in the same cupboard), and the builders haven't finished so we are working around them as well. Anyway I must get on, I will try to visit, but don't expect to have much time. 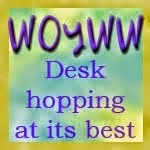 if you have arrived here in error and wondered why I am baring my soul, just click on the woyww widget and visit the wonderful Julia. Good morning, Chris. Er... are you SURE you are coming home this Friday? Looks like you have enough to keep you busy for weeks yet!!! House was fine when we popped in Monday. Will try to get over again before you get back. Reminds me why I wouldnt like to move house again. Good luck with the unpacking. Looks like you're making a good job of the boxes you've already tackled. I am sure it will be lovely once all those boxes have gone. So glad the Ordination was as wonderful as we hoped. I know that they surely know, but I'm going to remind you that they're lucky to have you! What works you take on! 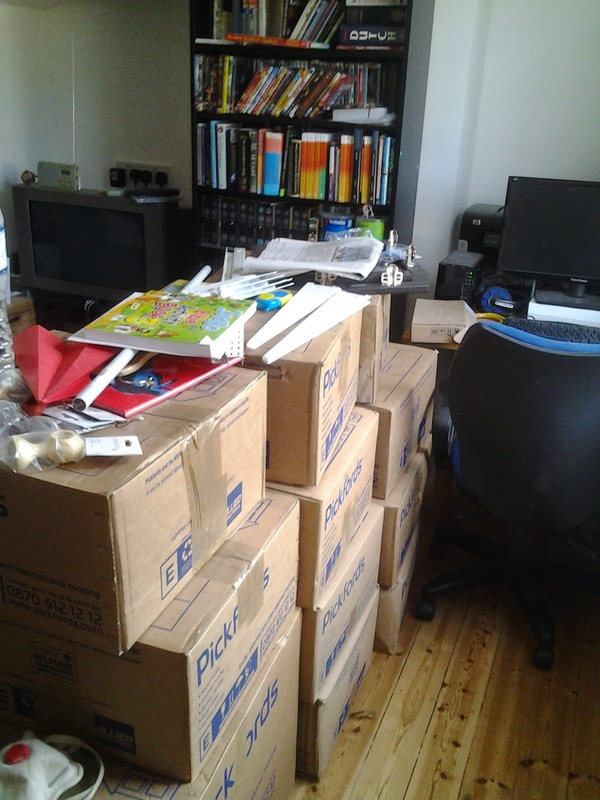 Oh, I know what it's like to have boxes to unpack -- and I haven't moved! They are from a storage unit that I had and finally moved everything out of it and into the house. What a task! !